Encyclopedic in scope, the exhibition opens chronologically with a 17th century anthropomorphic landscape after Matthäus Merian the Elder, and unravels into the fertile territory of how the Surrealists expanded upon the genre of landscape. Similarly, Salvador Dalí’s Mysterious Mouth Appearing in the Back of my Nurse, 1941, presents figures in a landscape oddly composing a female head. 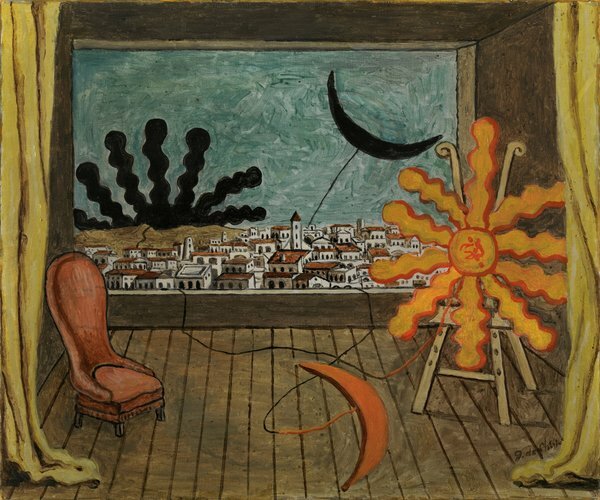 Greek born, Italian artist, Giorgio de Chirico’s Méditation matinale, painted in Paris in 1911-12, is a melancholic cityscape whose vantage point looks out onto the sea, echoing with mysterious nods to antiquity. 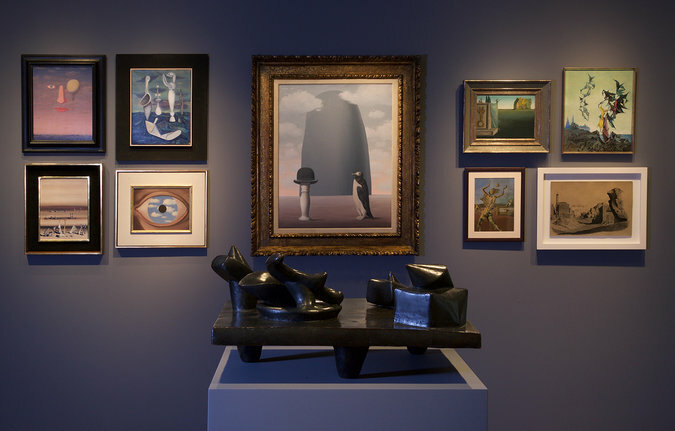 His metaphysical works became exemplary for the Surrealist movement, rekindling an interest in deep pictorial space. In his Thébes,1928, a classical Greek temple and ruins sit upon a rocky landscape, uncannily staged in a domestic interior replete with wood parquetry. 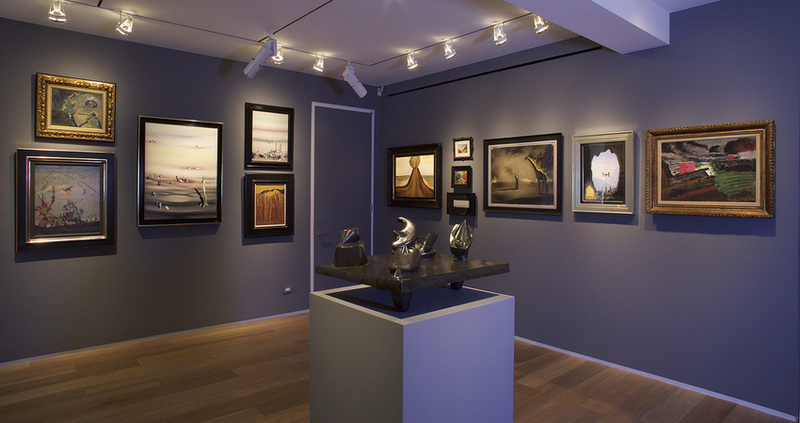 Di Donna Galleries is pleased to present Fields of Dream: The Surrealist Landscape opening on October 29 and running until December 19, 2015 at our 981 Madison Avenue galleries.